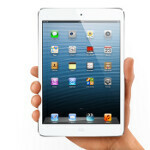 Will the next Apple iPad mini offer a Retina display? According to Taiwan based sources in the backlighting industry, the next version of the Apple iPad mini is going to offer enhanced resolution. It is unknown whether or not the next variant of the 7.9 inch device will feature a Retina display, but based on the display featured on the Apple iPhone 5 and the current iteration of the Apple iPad, it would seem a pretty good bet that Apple will go ahead and sharply improve the resolution on the Apple iPad mini to meet the Retina display threshold. According to the industry source, if the next iPad mini uses Apple's current Retina display technology, it will have to have resolution of 2058 x 1536.That would work out to a pixel density of 326 ppi. The current version of the "byte-sized" tablet has resolution of 1024 x 768 for a pixel density of 162ppi. The Apple iPad mini is competing with the 7 inch Amazon Kindle Fire HD. That tablet features resolution of 1280 x 800 for a pixel density of 216ppi. Those are the same exact specs seen on another 7 inch Android challeger to the Apple iPad mini, the Google Nexus 7. The same source had some news about the next version of the full sized Apple iPad. According to these insiders, Apple will decrease the number of LED light bars to one from two in order to decrease the weight of the tablet. soooo...you think it would have been intelligent if they just had the resolution better on the first mini? Judging from the rumors, it seemed as if there was trouble getting enough Retina Displays ready for the launch. We saw the demand was pretty high for the first month or so. I do think it was pretty rotten to release a new device without the better resolution, but if this is true, the only other alternative would have been to wait it out and no sell an iPad mini at all. It would have been a bad decision to skip the holiday season. I have a feeling thats about the only improvement it'll offer! This just in eating Taco Bell gives you Taco farts.. Just another one of those things that everyone knew as soon as they announced the current specs of the ipad mini. You are always ready for your savings! Apple fans will buy all things apple. 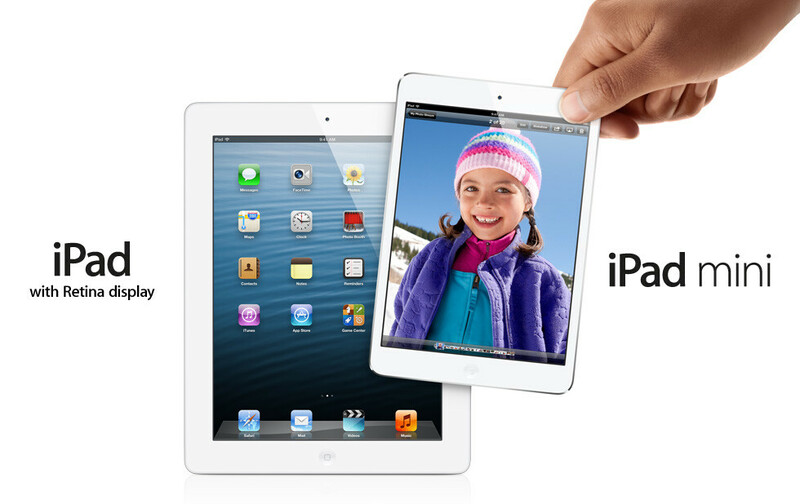 They can make their retina ipad mini every one is expecting that to be release in the new 6 month product cycle. Retina display , ha ha , thats the only thing apple does. SHOCKING!.... Not! They could have done it on the first gen anyways! But it's Apple, they want to juice people's money at the highest profit they can get from cheap hardware. If they are going to offer it mid-year 2013. Competition, obviously, would have gone better. If they have offered it now with the same price tag, I would have bought one in an instant. It's the screen you get to use all the time in a tablet right? Screen needs to be the best feature. Now, I'm thorn between iPad4 and Nexus10. People, please advice. When they are on the same price (16GB, WiFi only) at $500, would you recommend Nexus10 or iPad4? With equal hardware, its all about the software. I own an iPad 3 and would prefer a Nexus 10, but that's only because iOS is getting boring after a while. Just read about Android Jelly Bean vs iOS 6 and decide, what's yours. You can't be wrong with either. Also consider an iPad mini or Nexus 7. They don't have bad screens by ANY way, just don't compare with 250+ ppi directly. It better be 4k. 586ppi seems pretty reasonable nowadays. New Retina for the next ipad mini 2... Just a little bigger battery for the ipad mini 3... Buy now! How many times is Apple going to add a Retina display and try to pass it off as "new" and "revolutionary" ?! All they do is make a product and a year later slap a retina display on it and people go nuts The only time Retina was amazing was when it was introduced on the iPhone 4. I had never seen anything like it, almost made me wanna sell my Evo 4G lol. When the hell is Apple gonna do something besides add Retina and slightly newer processors?? When the hell is the competiton?... There is no "revolutionary" anymore, only "evolutionary" for now. In other news.....the sky is blue and the Pope is Catholic. see that's that BS.. apple knew what they were doing. they purposely made the mini that way because they knew they had people who would purchase it anyway. so now they have something to look forward to when it comes out with the all new glamorous screen on the next one and people are still going to go crazy over it... that's SAD! !